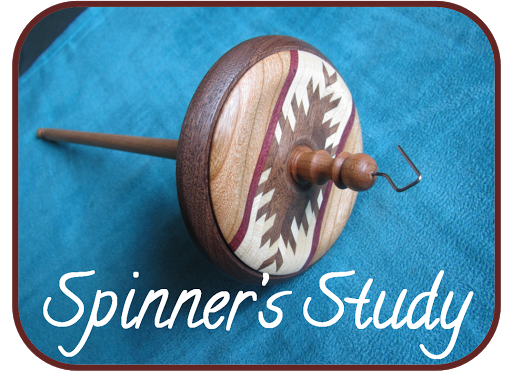 Ready for another installment of my ongoing Spinner’s Study? My thoughts on Romney align with what I wrote in my last post, which is that it’s known to be an all-around good workhorse of a fiber that plays nicely, and that definitely seems to be true. 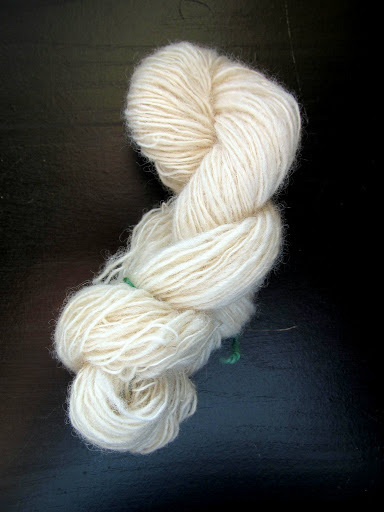 It drafted smoothly and easily and made a nice, strong-feeling yarn with just a little bit of shine to it (from its longwool nature). The wool from the next breed, Cheviot, feels somewhat similar. The Ceviot is a dual-purpose sheep, raised for both meat and wool, and comprises its own ‘family’ within the Fleece and Fiber Sourcebook. 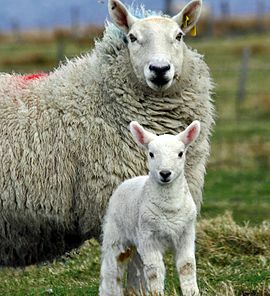 It is the dominant breed in the Cheviot Hills area on the border between England and Scotland.The sheep themselves have ‘clean’ faces free of wool with dark eyes and noses and their origin is something of a mystery (rumors of sheep escaping from Spanish ships) but they’ve been around since sometime in the 15th to 17th centuries. 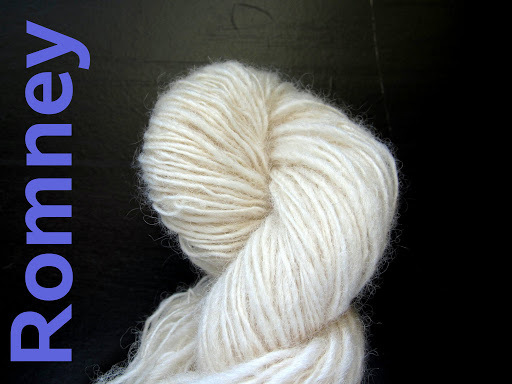 The book describes Cheviot as a neighborly fiber known for durability without harshness. It has a micron range between 27 and 33, which lands it squarely in the medium softness category, edging towards coarse. 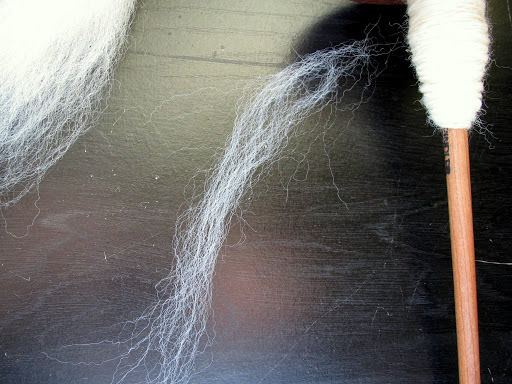 The book also calls the fiber ‘chalky’, which is kind of a strange word to apply to wool, but I think I get it. The fiber I have is almost fluid in how it drafts, there is no luster or silkiness but the fibers aren’t ‘grabby’ either, they don’t grip each other very tightly. Even though it has a long staple length, I have to watch that I don’t draft out too quickly and create thin spots in the yarn. That said, it’s been very easy-going to spin, and I could see how it would make a great rugged sweater or blanket, since I imagine the fabric wouldn’t pill much with wear. If you like learning about different types of wool, I highly recommend you check out the free Craftsy mini-class “Know Your Wool”, taught by Deborah Robinson (one of the authors of the Sourcebook). I watched it the other night and thought it was a great summary and introduction to some of the key concepts in understanding the differences between types of wool. You can also find info on the other breeds I’ve already spun up here. That Cheviot lamb is so cute! I think it is the dark nose against such light wool. 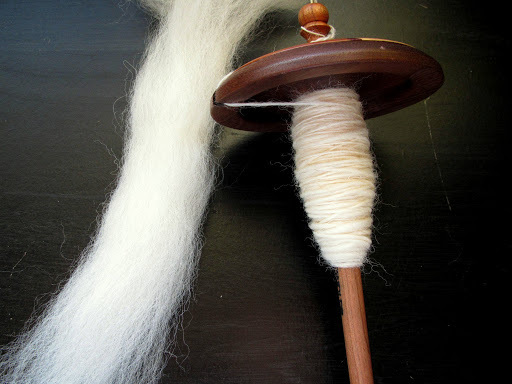 I don't think I've spun Cheviot yet. It looks like an interesting one to try out some time.